Baby enjoys the soft, delicate sounds stimulating her sense of sight and hearing. 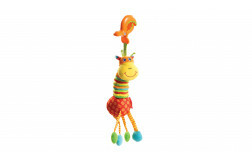 Baby spends much time watching the toy dangling above her, randomly reaching out with her hand, batting at the toy, causing it to swing and make pleasing sounds – a captivating effect that encourages her to try again. 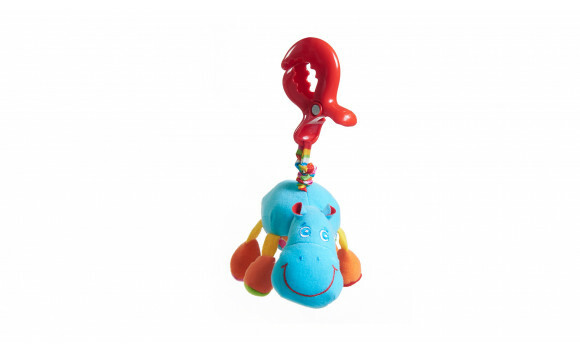 Harry Hippo is small enough to take anywhere, giving your baby a sense of security and continuity everywhere you go. Our on the go pals also encourage babies to use their fingers and hands in a variety of ways, helping enhance their fine motor skills.